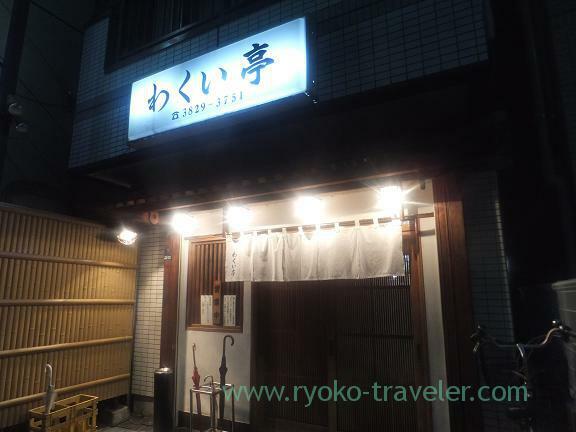 I went to the restaurant , not so far from Tokyo Skytree. 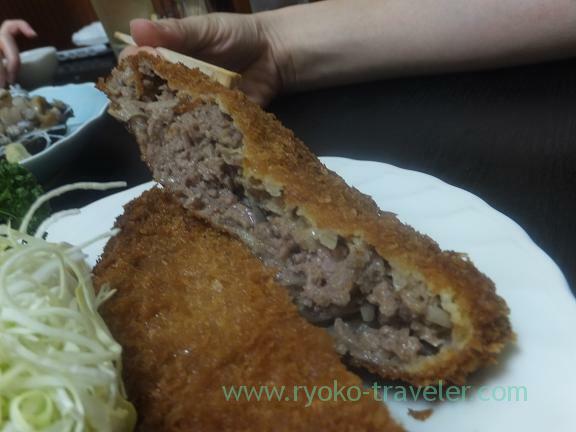 It is so popular as big minced cutlet. No matter how I look at it, it never seems western-style ! Appetizer. 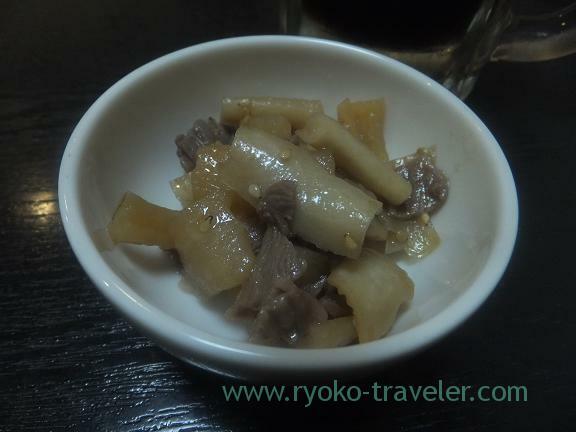 Boiled burdock and beefmeats. 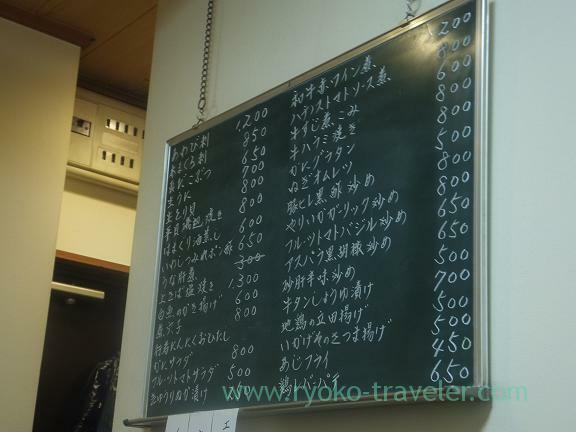 *Lean meat of tuna (850 yen), sea urchin(800 yen) and abalone (1200 yen).. 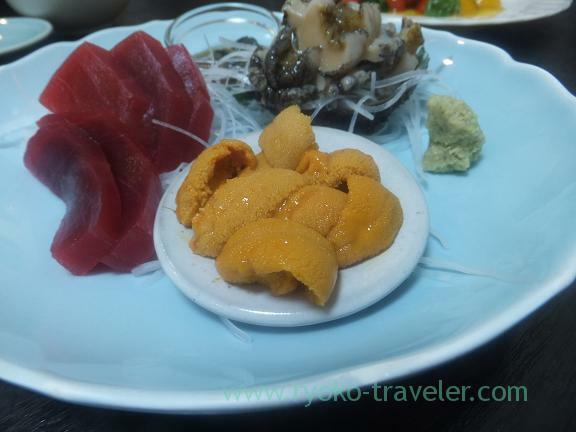 I didn’t have any good expectations as seafoods , but so fresh and good. 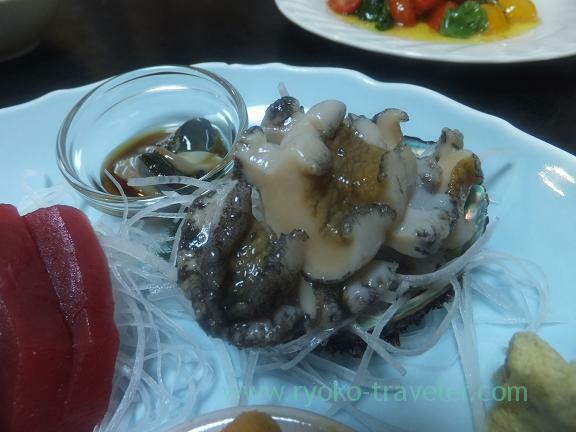 Especially, this abalone … ! 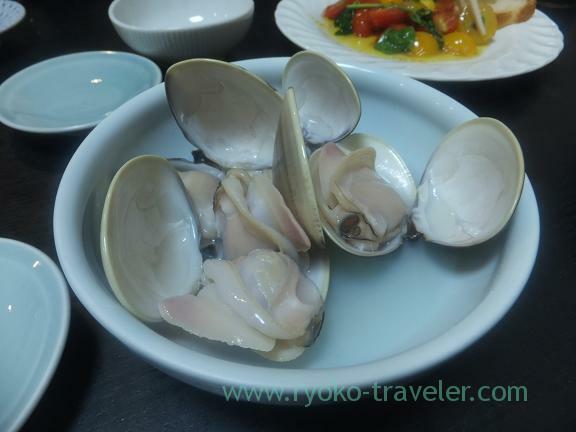 *Clam steeped in sake and steamed (はまぐりの酒蒸し) 600 yen. I liked it best in all dishes that I had at the restaurant that day.The ingredients is clams, water and salt.That’s all. Still, why does it so delicious ? 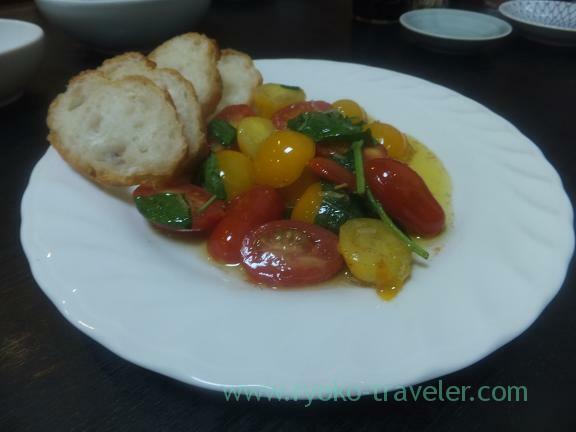 *Fried fruit tomato with basil (フルーツトマトバジル炒め) 650 yen. *Minced cutlet (メンチカツ) 600 yen. 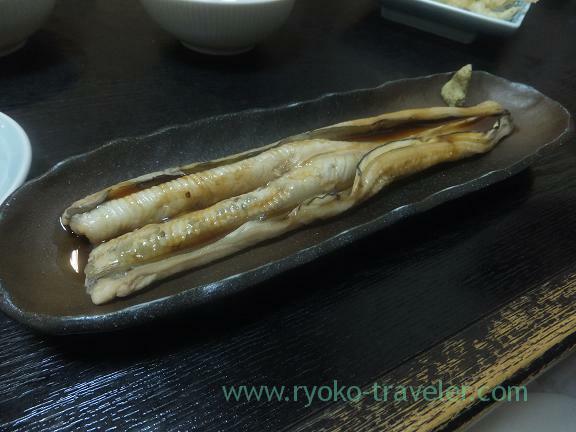 *Boiled conger eel (煮穴子) 800 yen. 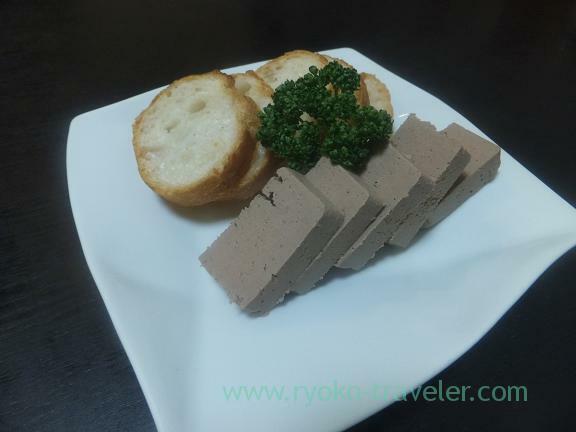 *Chickens liver putty (鶏レバーパテ) 650 yen. 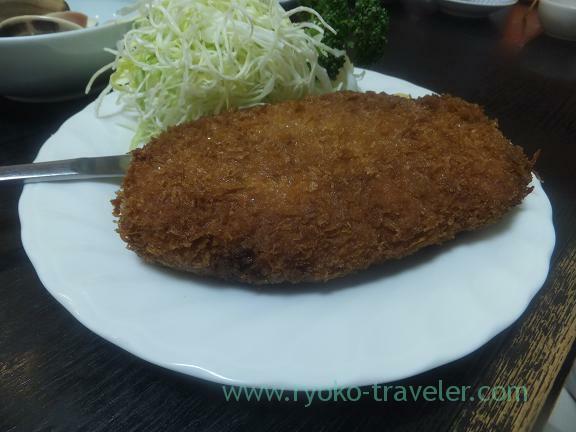 *Fried pork fillet with black vinegar (豚ヒレ黒酢炒め) 800 yen. I didn’t understand first, but pork and vinegar ! It is sweet and sour pork ! 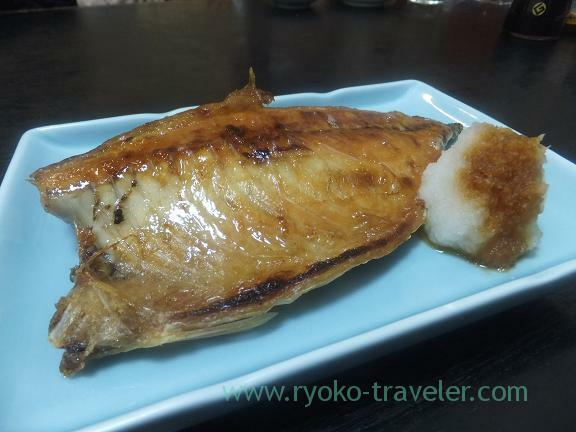 *Grilled salted special mackerel (上さば塩焼き) 1300 yen. 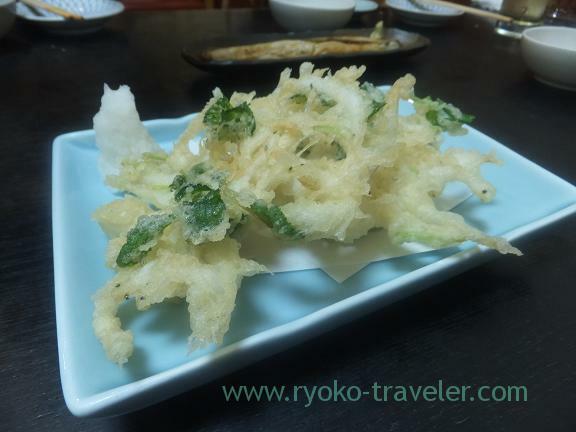 *Ice goby kakiage (白魚のかき揚げ) 650 yen. 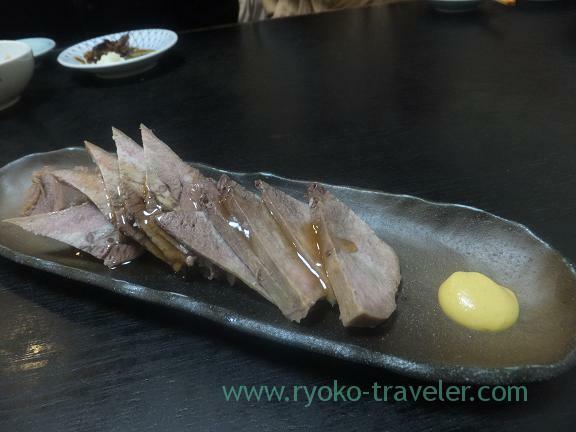 *Pickled beeftongue with soy sauce (牛タンしょうゆ漬) 700 yen. It tasted like liver 🙂 I liked it, though I felt strange at first. 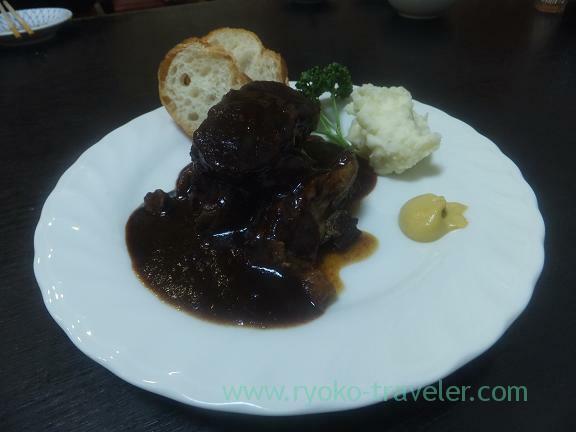 *Stewed wagyu beef with red wine (和牛の赤ワイン煮) 1200 yen. 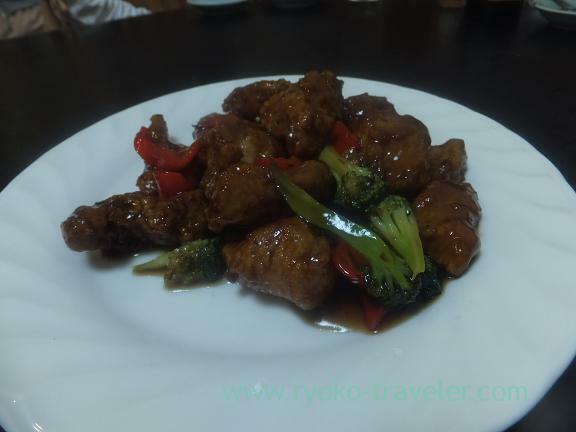 The stewed meat was so soft, and I could cut by my chopsticks easily. 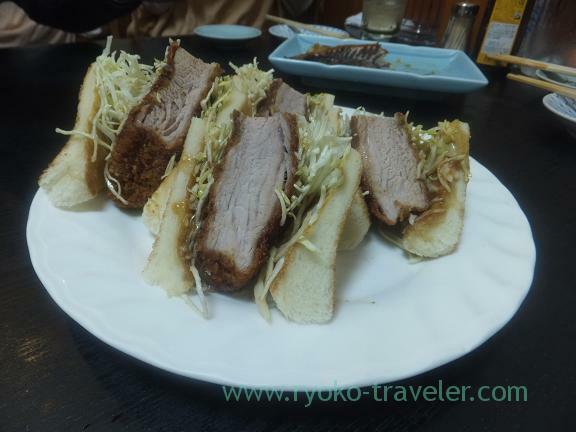 *Cutlet sandwich (カツサンド) 800 yen. I don’t think it is western-style foods restaurant. Everything except sweet and sour pork was tasty.